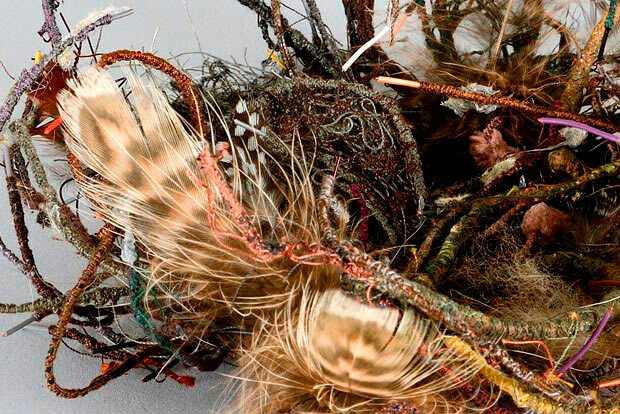 Technique: metallic wires, feathers, wool, fur, natural fibre, paper, thread, hand and free-motion machine embroidery. 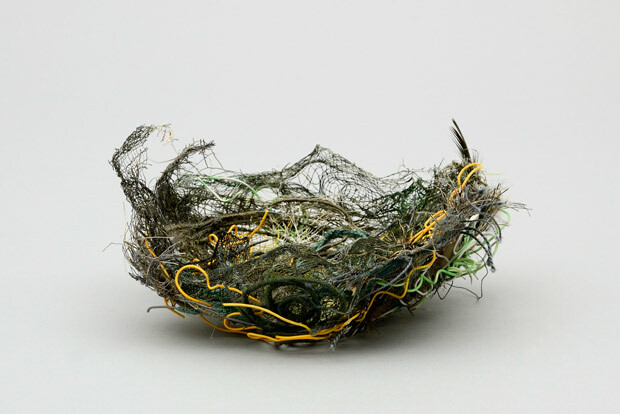 Technique: metallic wires, feathers, fur, paper, thread, hand and free-motion machine embroidery. 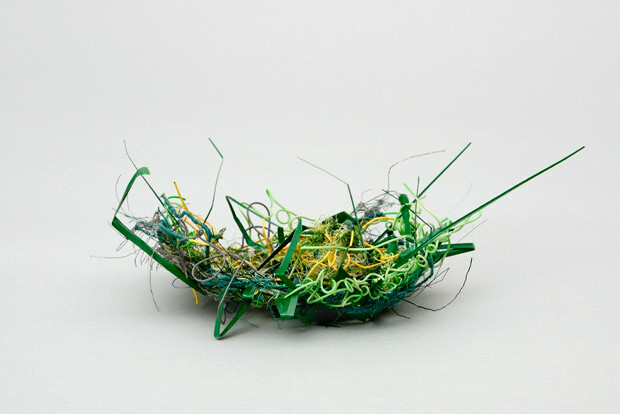 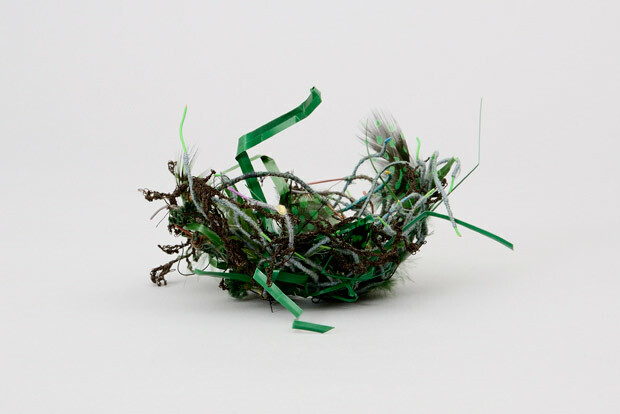 Technique: metallic wires, feathers, paper, natural fibre, plastic, thread, hand and free-motion machine embroidery. 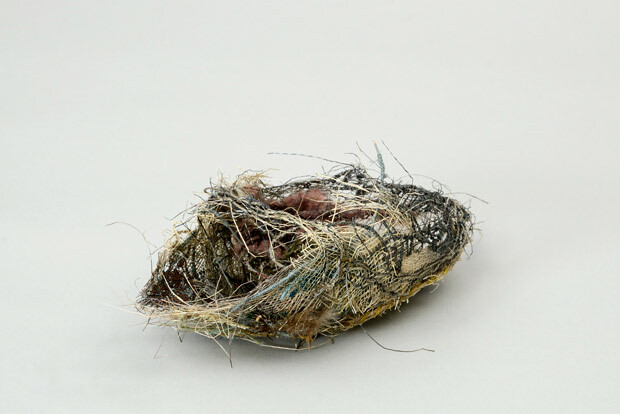 Technique: metallic wires, natural fibre, thread, hand and free-motion machine embroidery. 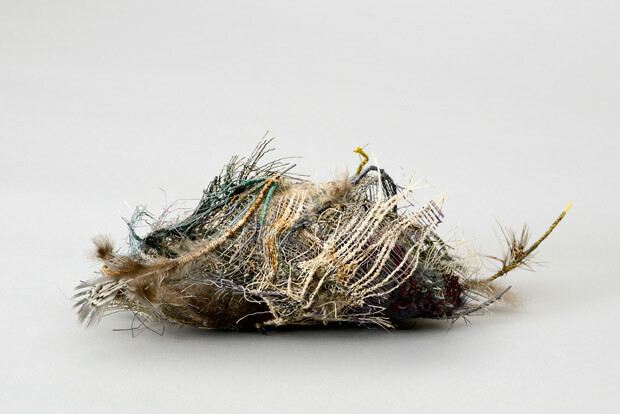 Technique: metallic wires, feathers, natural fibre, plastic, thread, hand and free-motion machine embroidery. 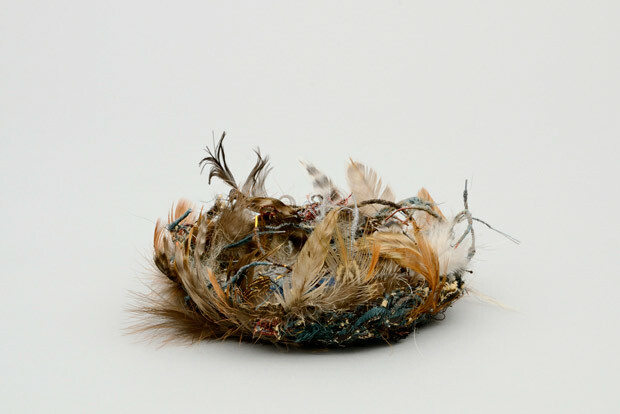 Technique: metallic wires, feathers, natural fibre, thread, hand and free-motion machine embroidery. 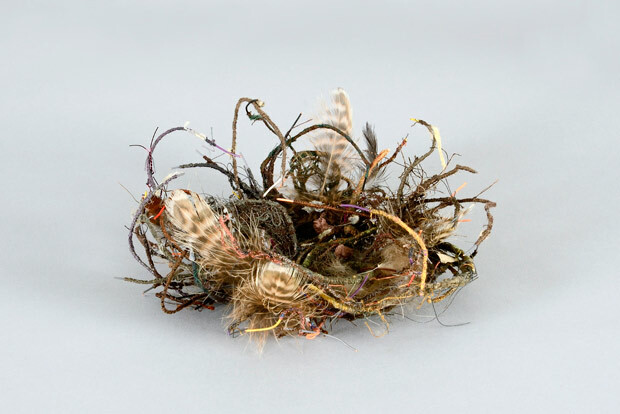 Technique: metallic wires, fur, feathers, wool, natural fibre, thread, hand and free-motion machine embroidery. 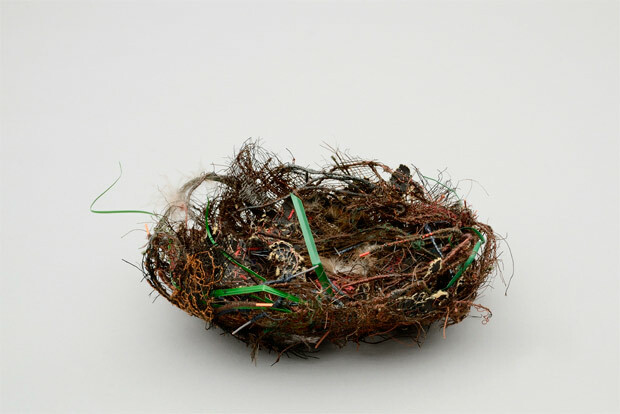 It symbolizes the future, hope of a new life. 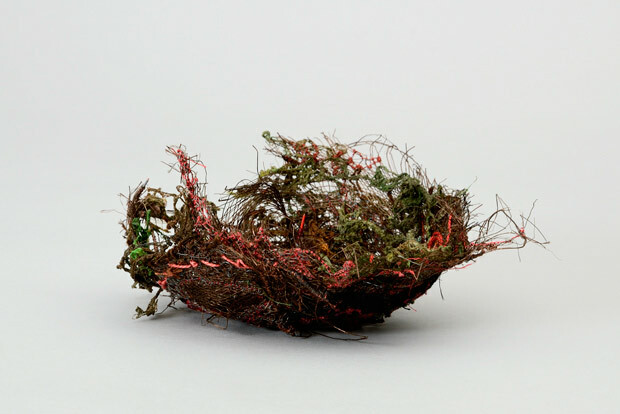 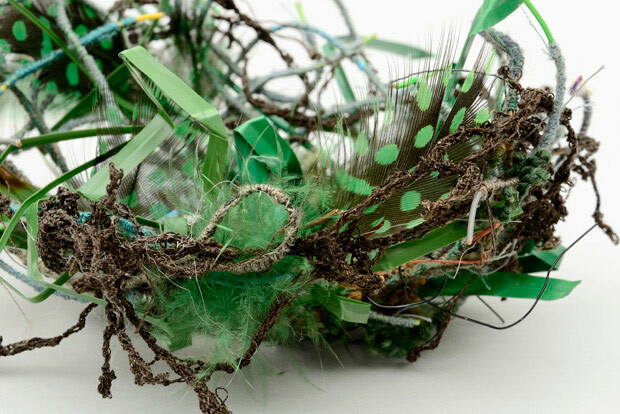 An object of care and attention, it is often made of various recycled materials embroidered in natural colours which reflect the surrounding environment.